Jeff Smulyan had an idea. 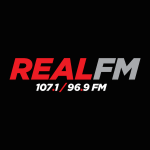 What if you could recreate barroom discussion of sports on a 24 hour radio station. Lucky for Jeff, he happened to be the President of Emmis Broadcasting, which happened to have an AM outlet in New York that would be a perfect testing ground for the format. WHN had become a legend in the previous 15 years it had with the Country format, with many New York DJ’s that will go into any New York Radio Hall of Fame: Del Demontreaux, Lee Arnold, Dan Daniel, and Dan Taylor to name a few. Equipped with rights to the defending World Champion New York Mets, WFAN signed-on and without making much of a dent in the ratings it did make a name for itself locally and nationally. classy that they would have Ray Price close it out! And in Philly, a soft rock station had already been pioneering sports radio by devoting nights or at least evenings to sports talk for approximately the past year or two. That station was WFAN’s now-sister station WIP, which completed its transition from Adult Contemporary to Sports about four or five months after WFAN signed on. This programming move made WIP, I presume, the second all-sports radio station in the world. WFAN moved from 1050 AM to its current 66 AM fifteen months later (in what I like to call The Great New York City Radio Switcheroo (in which WFAN’s then-owners ended the latter frequency’s occupant, WNBC, and almost a month earlier, swapped WYNY’s and WQHT’s frequencies)). The original WFAN was temporarily replaced by Spanish station WUKQ (owned by 620 WSKQ), in turn replaced the following January by WEVD, as it moved from 97.9 FM and was replaced by WSKQ-FM . The WFAN opening shows how the initial vision for the station was more national in focus, with the presence of Jim Lampley (who had just resigned from ABC Sports days before) underscoring that. 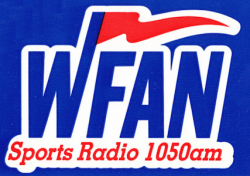 But as the first callers Lampley took reveal, New York fans were interested only in the goings-on of New York teams and that’s why ultimately WFAN had to develop its identity (aided by the 1988 shift to 660) as a local-oriented show with personalities like Mike Francesa and Chris Russo. Suzyn (correct spelling) Waldman, the first voice heard on WFAN (MAN! !, she sounds young on this air check! [Has it REALLY?? been 31 years? ]), was the Yankees beat reporter (and, unless I’m mistaken, also the Knicks beat reporter). She is now (since 2005) the Yankees radio color commentator. And as if this weren’t already a different WFAN from today, the original version of the station–in ’87, at the very least–broke for REGULAR news! 8:36-9:34: Wow!, I had SO! FORGOTTEN!! about that commercial for Channel! (I remember the store, though.) Shadow Traffic reporter/Central Jersey radio deejay Dennis O’Mara (whose traffic report was announced at the end of the aforementioned news break but is not on this aircheck) passed away about mid- to-late ’90’s. Lou Boda (himself since deceased) was a sports reporter on the ABC Radio Network and a sports anchor on the evening and/or late-night news on WABC-TV New York in the 1960s. I forgot that Greg Gumbel (now an NFL play-by-play announcer on CBS-TV) was a talk show host on WFAN in its earliest days.